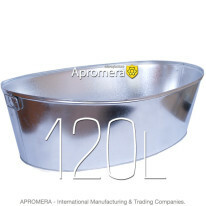 Galvanised Oval Bath is produced from a galvanised steel sheet of 0.55 mm. This thickness enables the tub walls to be hard and durable. The container has two handles. 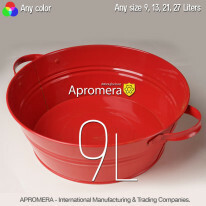 It becomes the perfect item for domestic and household use and suits for storing and carrying liquids like water. The article is not intended for cooking meals and for heating. 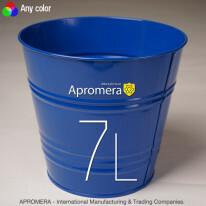 You are free to choose any colour and you are sure to receive the containers with a logo or a label if required. 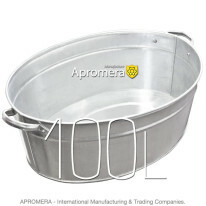 Galvanised Oval Bath is one of the most popular household tools. It is widely used in different ways because galvanised steel has numerous advantages over other materials. It is light and at the same time durable, washes well, it does not absorb other substances , it is resistant to chemical detergents. 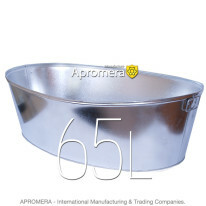 Moreover, these containers can be of various forms and sizes which enables them to be used widely, mainly for washing. 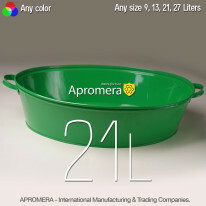 Such containers are ideal for washing pets and clothes. 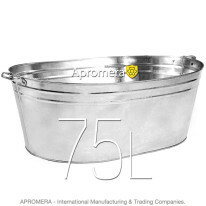 They are more convenient than buckets (if we are talking about washing), as they are wider and bigger in size. 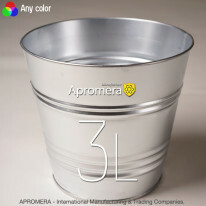 The capacity of these buckets varies from 50 to 120 litres, available in round, oval and square shapes. 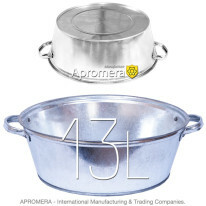 They are supplied with a handle for comfort while carrying which is really vital when the container is filled with water and is rather heavy. You can also choose Galvanised Round Bath with a spout designed for pouring liquids. To get information on payment and delivery, please, follow the link.